Thus wrote Amos Oz (a renowned left-leaning author) in his book, A Tale of Love and Darkness (2004). So how did it come to pass that Arabs who live in the Palestinian Authority and who left the region in 1948 claimed the name for themselves after having rejected it for the longest time? I am amazed at the cynical way in which the Arabs have appropriated a name once meaning Jews. What is no less incredulous is how the world has conveniently “forgotten” such recent history. Does nobody realize that the Arabs are doing this in order to deny the Jewish connection to the land and claim that they, the Arabs, are the true indigenous population? Sure there were Arabs who lived in the region for generations, but then Jews never totally left the land. 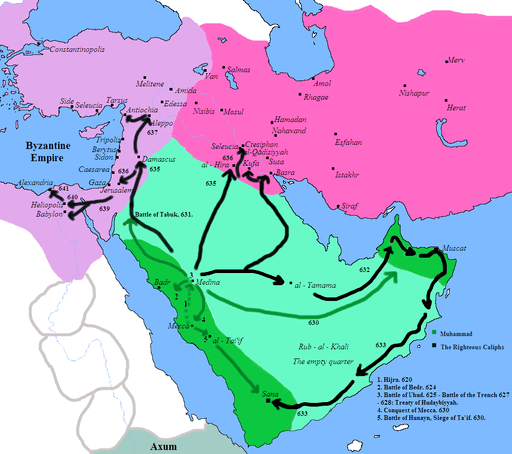 If you go back far enough in history, you will find that Arabs only came to this spot in the 7th Century CE, about 2000 years after it was an independent Jewish state, as an imperialist Islamic conquering force bulldozing their way across northern Africa and southern Europe, one of many invading armies who tried to wrest the land from the Jews. Throughout our history, we always regained control. Use of the term, Palestinian, by Israeli officials when referring to Arabs who were in the Palestinian Mandatory Territories before 1948 is, to me, absolutely incomprehensible. It is one thing when members of the Israeli left use it for they want us to submit to Arab demands and relinquish lands that were originally part of the intended Jewish home in the belief that that will bring peace upon us. However, when our Prime Minister and President use the term, they also collaborate with the lie and make it that much harder to impress upon the rest of the world the fallacy of referring to Arabs as Palestinians. I am not saying that the Arabs that lived here in 1948 have not developed a unique identity – they have: but only because this was part of deliberate machinations on the part of other Arabs who have been using them as pawns for their own propaganda purposes in their war against the Israeli thorn in their sides. What is ironic is that if Israel were to lose a war, not only would the Jewish population be wiped out (as is happening to Christians and others in the Moslem Middle East today), but you would suddenly see that there is no such thing as a Palestinian Arab. The other Arab entities would not recognize a Palestinian people and would waste no time in quashing any hopes harbored of an independent Palestinian state. It would be swallowed up by Jordan, Egypt, Lebanon and Syria before the blink of an eye. And what would global current events followers say then? OOPS? I think they wouldn’t even go that far. I think they really just wouldn’t care!. A version of this was first posted on Times of Israel. I agree, terminology is very important. Israel continues to give creedence to a lie by negotiating with a non existent people. Lots of fine things in Bibi’s speech to the UN but I can’t for the life of me understand why he still talks about a two state solution. Israel’s biggest mistake was in not annexing Gaza, Judea and Samaria in 1967. The population of these areas was far less then. than it is now. It would have been a bold step but I believe it would have avoided 68 years of sorrow and bloodshed. It is probably too late now. Well, what some are now talking about is annexing Area C and establishing an independent state in Areas A and B. That is still doable, if there is someone on the other side who is serious about building a state there. I agree, it was a colossal mistake not to annex all the territories we released from occupation (Egyptian and Jordanian occupation) as we did the territory we released from Syrian occupation – the Golan.